Some types of appliance problems—like a broken refrigerator or freezer that won’t keep food cold—can be very serious, while others like an indicator light out on your cooktop are more like minor annoyances. 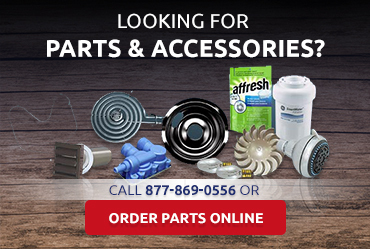 But in any case, you deserve an effective appliance repair in Pasadena CA so you can get back to using your appliances as normal. 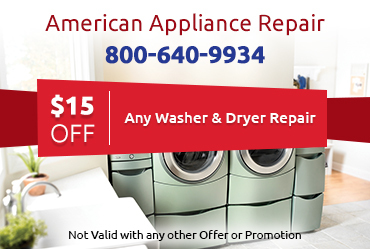 You can rely on American Appliance Repair to always provide the best quality repairs at competitive and affordable rates. We always provide reliable estimates before beginning work on an appliance repair in Pasadena CA. If you have an appliance from Amana, Jenn-Air, Scotsman, Whirlpool or Maytag you can rely on our technicians who are qualified to provide warranty repairs. Your satisfaction is our number one priority. 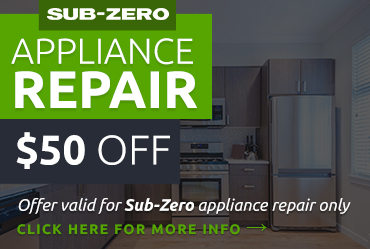 That’s why we do everything in our power to provide fast and reliable service that results in a successful appliance repair on the first visit. If there is more than one way to address the problem with your appliance, we’ll let you know so you can make the decision. In our 30 years of providing appliance repair in Pasadena CA, we’ve received considerable praise for our friendly, efficient, and honest technicians. We believe that if you give us a chance, you too will end up as a very satisfied customer. We know that having a malfunctioning or completely out of order appliance can be a real pain. 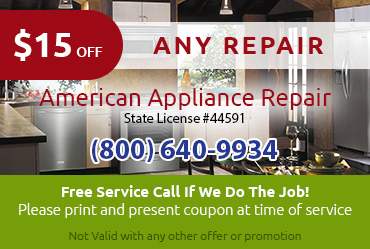 So we strive to offer same-day service to every client who calls us for appliance repair in Pasadena CA. Just call us at 800-640-9934 or contact us online to get a qualified technician dispatched your property ASAP.